The Hound of the Baskervilles is the tale of an ancient curse suddenly given a terrifying modern application. The grey towers of Baskerville Hall and the wild open country of Dartmoor hold many secrets for Holmes and Watson to unravel. The detective is contemptuous of supernatural manifestations, but the reader will remain perpetually haunted by the hound from the moor. The editor of this volume, W.W. Robson, was Emeritus David Masson Professor of English Literature at the University of Edinburgh and author of Modern English Literature. 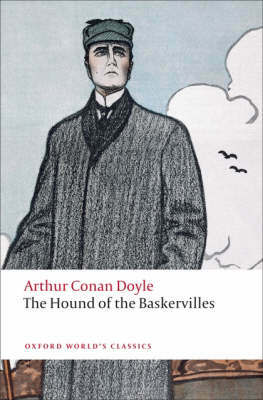 The general editor of the Oxford Sherlock Holmes, Owen Dudley Edwards, is Reader in History at the University of Edinburgh and author or The Quest for Sherlock Holmes: A Biographical Study of Sir Arthur Conan Doyle. ABOUT THE SERIES: For over 100 years Oxford World's Classics has made available the widest range of literature from around the globe. Each affordable volume reflects Oxford's commitment to scholarship, providing the most accurate text plus a wealth of other valuable features, including expert introductions by leading authorities, helpful notes to clarify the text, up-to-date bibliographies for further study, and much more.